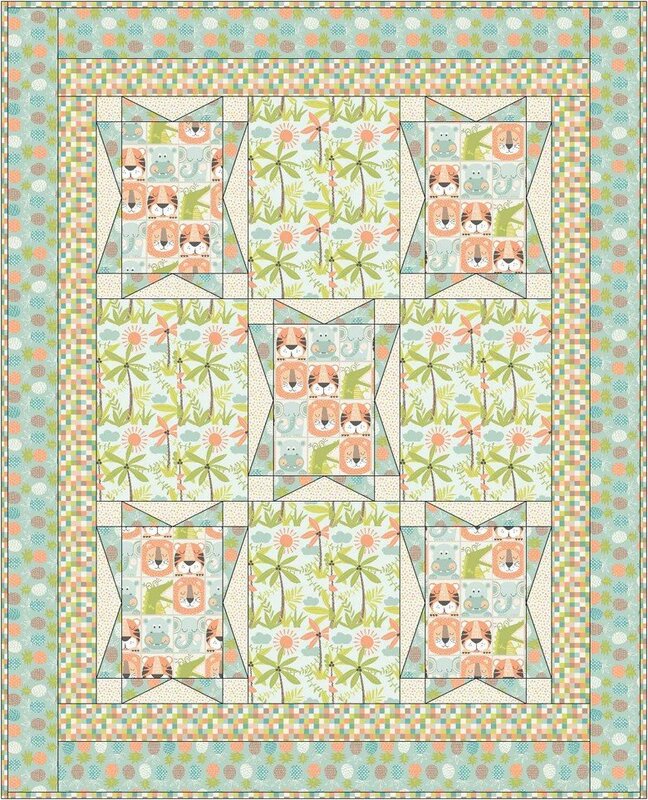 The Tic Tac Toe Quilt Kit creates a whimsical world with tropical and jungle prints and animals with colors that work for a boy or girl. The Tic Tac Toe Quilt Kit includes the pattern and the fabrics for the top and binding. The finished quilt measures 51" x 63".